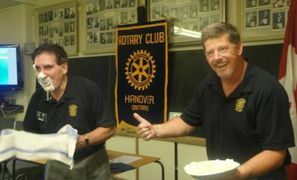 The Hanover Rotary Club was founded on April 2, 1939 and now after almost 80 years of service, much has been accomplished. 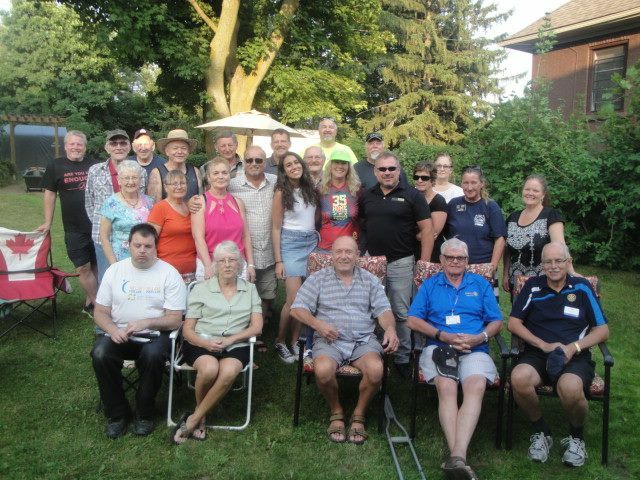 Membership reached a high of 30+ members in the 1950s and currently the roll of members is 25+ and the Club remains a vibrant and active organization within the communities of Hanover and West Grey. 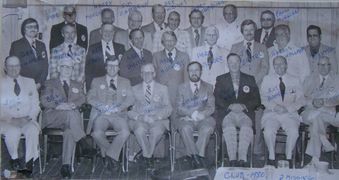 The membership includes men and women of all ages and from all walks of life giving it a well-rounded outlook and purpose. 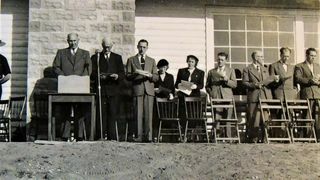 Our past history has seen the sponsoring of local community organizations and projects such as: Boy Scouts, Easter Seals, Hanover Hospital, HARC, Library, Aquatic Centre, P & H Centre, Town Clock, Secondary School Bursaries, Seminar for Tomorrow’s Leaders, Values, Influences and Peers Program, Salvation Army Food Bank, Hanover Trail System, The Deck Youth Centre, Swimming Programs for the Disabled, School Breakfast Programs, Bruce-Grey-Huron Disability Van, Hazardous Waste Recycling, Ball Diamonds, Literacy Projects, and numerous donations to charitable organizations. Our Rotary International Programs include: Youth Exchange, Polio Plus, Rotary Foundation, World Community Service projects, and participation in Group Study Exchanges. 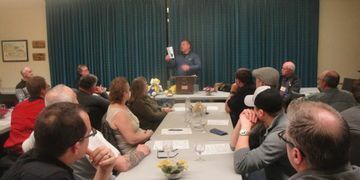 Some of the major fundraisers over the years have included: Nevada Tickets Sales, Poinsettia Sales, Comedy Nights, Rotary TV Bingo, Cornfest, Street Dances, and Silent Auctions.